St. Francis Brooklyn’s Kelsey Snelgar broke her own single-season scoring record, upping her tally to 114 goals in 2019 with a 19 score haul last week. She netted seven goals on 10 shot attempts as the Terriers downed Villanova 12-9 on Saturday. Snelgar added four more goals to her season tally in a 24-9 loss to Wagner later in the day, while Tate Renata added three scores. A five-goal effort against LaSalle as the team won 13-9 on Sunday capped the weekend for Snelgar. Snelgar and Renata scored three goals apiece in a 9-7 win over VMI later in the day. 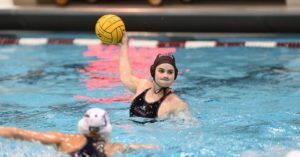 Margherita Garibbo registered seven goals and Annefleur ten Bloemendal added five as Salem topped McKendree 14-9 on Saturday. Garibbo chipped in five goals and ten Bloemendal and Erin Zappia added hat tricks among seven scorers as the Tigers bested Monmouth 18-10 on Saturday. On Sunday, Garibbo chalked up five goals in a 10-8 overtime win over Mercyhurst. Julie Sellers scored six times, followed by Maddy Steere (4) and Abby Andrews (3) as #6 Michigan crushed Brown 21-2 on Saturday. The Wolverines got four goals from Erin Neustrom and hat tricks from Sellers and Andrews in an 18-1 win over Saint Francis (PA) on Saturday, which included eight scorers and six multi-goal efforts. On Sunday, Steere notched a hat trick as Michigan topped #15 Princeton 9-6. Monmouth’s Becca Dabrowski put in six goals, but it was not enough as the team lost 18-10 to Salem on Saturday. Dabrowski scored five times in a 14-7 loss to McKendree on Sunday. Iona’s Jillian Schultz racked up six goals and Laura Rockett scored a hat trick as Iona downed LaSalle 17-9 on Sunday. Schultz notched five goals, while Jordan Van Reeken and Taylor Hensley notched hat tricks as Iona topped Villanova 13-9 on Saturday. 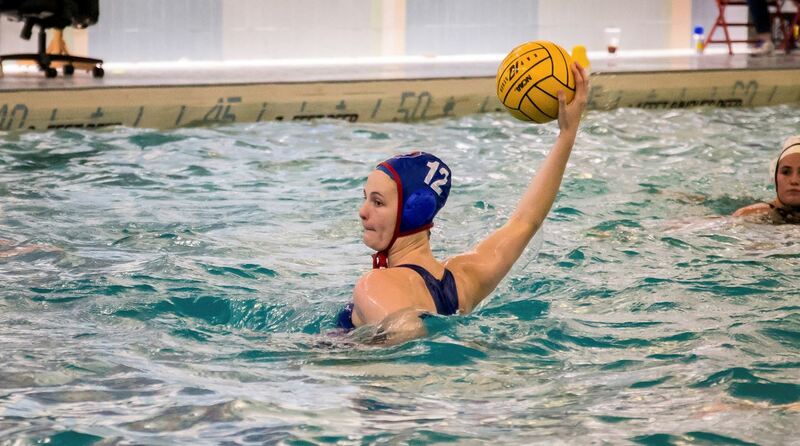 Maeve Wydan put in four goals, while Van Reeken and Hensley scored three each as the Gaels defeated Siena 14-13. Schultz added a three-goal haul in a 16-5 loss to Wagner on Sunday. Makenzie Fischer scored a match-high five goals as #1 Stanford squeaked past #3 UCLA 7-6 on Saturday. 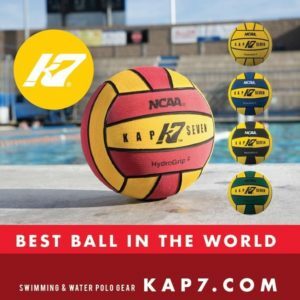 #7 Pacific bested #25 Cal Baptist 15-7 on Friday, thanks in part to a five-goal effort by Kyra Christmas. Viktoria Szmodics turned in a hat trick to aid the Tigers among eight scorers in the contest. Christmas added another five-goal effort in a 13-7 win over #13 Loyola Marymount on Saturday, while Brinnley Barthels scored four goals. Tara Prentice put in five goals as #8 UC Irvine topped #9 UC Davis 11-4 on Sunday, while Mary Brooks added three. Freshman Noelle Wijnbelt netted five goals as #9 UC Davis downed #12 Long Beach State 10-7 on Friday. Annie Kutt scored three times in an 11-4 loss to #8 UC Irvine on Sunday. #15 Fresno State saw Emily Nicholson notch five goals, while Trystyn Vuori added four and Daphne Guevremont turned in a hat trick as the Bulldogs bested #25 Cal Baptist 14-10 on Saturday. Ciara Franke scored a career-high five goals for #17 UC San Diego in the Tritons’ 19-7 win over Cal State Monterey Bay on Friday. Grace Pevehouse and Taylor Onstott turned in hat tricks as the Tritons topped Cal State East Bay on Saturday. Riley Heiduk and Onstott notched three goals apiece among 11 scorers as UCSD downed Sonoma State 20-7 on Sunday. Milena Guzman Ortis went 5-for-5 to lead Azusa Pacific in a 12-11 win over Concordia on Friday. Whittier’s Sawyer Bellville notched five scores and four other players added two apiece in a Saturday loss to Pomona-Pitzer (14-13). Hailey Gellert scored five times and Amanda Weddle followed with four goals as Sonoma State moved past Fresno Pacific 14-13 on Saturday. Annika Erickson posted three goals in a 20-7 loss to #12 UC San Diego. 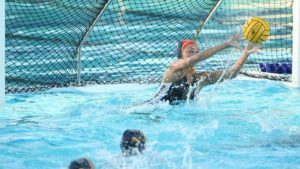 Guarina Garcia put in five goals as LaVerne fell to Pomona-Pitzer 8-6 on Saturday. Jassmine Kezman notched four scores as the Leopards moved past Whittier 10-8 on Wednesday. Sienna’s Diana Fernandez registered five goals and Kristen Burger added three as the Saints fell to Iona 14-13 on Saturday. 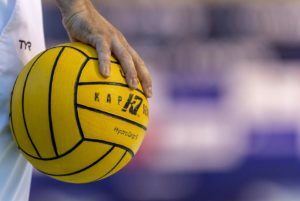 Fernandez added four more scores and Bianca Prinsloo notched a hat trick as Siena topped Villanova 12-10 on Sunday. Emily Westlove racked up five goals to go with hat tricks by Brianna Mullalley and Kaitlyn Moguel in McKendree’s 14-7 win over Monmouth on Sunday. Westlove put in four goals as McKendree edged Mercyhurst 10-9 in overtime on Saturday. Moguel turned in four goals and Westlove added three as the Bearcats fell to Salem 14-9 later in the day. Abby Burton was 4-for-4 in a 12-3 win over Carthage on Sunday. Bronte Halligan went 4-for-4 as #3 UCLA topped #19 San Jose State 13-3 on Sunday. Irene Gonzalez netted four goals as #4 Hawaii defeated #12 Long Beach State 15-7 on Sunday. 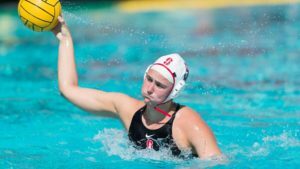 #20 San Diego State saw three players turn in four-goal efforts in its 16-6 win over Cal State Monterey Bay on Wednesday. Emily Bennett, Hannah Carrillo and Haley Hagerty led the way for the Aztecs in the win. Ally Furano scored four times as #23 Bucknell topped Brown 8-4 on Saturday. Furano also added four goals in the Bison’s 9-7 win over Harvard, while Kali Hyham chipped in three scores. Furano, Nina Benson and Sarah Mooney scored three goals apiece in an 11-7 win over George Washington on Sunday. Lexi Rond put in four goals and Nicole Roed added three as Cal Lutheran topped Occidental 15-1 on Saturday. Villanova got four goals from Charlotte Curan, but it was not enough to lift the Wildcats past St. Francis Brooklyn on Saturday (12-9). Kate Murray scored four times as Villanova dropped a 12-10 decision to Siena on Sunday. Pomona-Pitzer edged Whittier 14-13 with help from four goals by Lucie Abele. Sarah Dolitsky notched four goals and Emma Perez scored three times as VMI topped LaSalle 11-7 on Saturday. Emma Noble chipped in three goals as the Keydets fell 9-7 to St. Francis Brooklyn on Sunday. 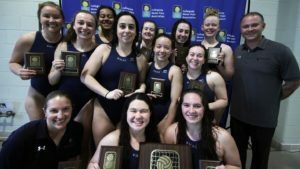 Madison Martinez scored four times and Karle Linden added a hat trick as LaSalle dropped a 17-11 decision to Marist on Saturday. Sarah Defuso turned in a four-goal effort in a 13-9 loss to St. Francis Brooklyn on Sunday. Martinez chipped in three goals in a 17-9 loss to Iona on Sunday. #13 Loyola Marymount got three goals each from Morgan Molloy and Marialena Seletopoulou in its 8-4 win over Santa Clara on Friday. #18 Wagner’s Sofia Diaz Alvarez and Malia Josephson tallied four goals each, while Erica Hardy and Jacqui Sjogren added three apiece in a 24-9 win over St. Francis Brooklyn on Saturday. Three players turned hat tricks for the Seahawks in a 16-12 win over Marist on Saturday: Diaz Alvarez, Josephson and Daisy Nankervis. Hardy and Sjogren put in four goals apiece as the team downed Iona 16-5 on Sunday. Juliette Belanger netted four goals for George Washington in an 11-7 loss to #23 Bucknell on Sunday. Ten players scored and Grace Doerfler put in four goals as #21 Marist topped VMI 16-6 on Sunday. Susan Cantoni notched three goals as the Red Foxes fell to #18 Wagner 16-12 on Saturday. Doerfler and Anais Mathes scored three times apiece as the Red Foxes bested LaSalle 17-11. Lizette Perez scored three goals for #25 Cal Baptist in a 15-7 loss to #7 Pacific on Friday. Perez and Jamie Hutton netted three goals apiece in the Lancers’ 14-10 loss to #15 Fresno State on Saturday. Concordia (CA) saw three players notch a hat trick in its 12-11 loss to Azusa Pacific on Friday. Madison Ravelo, Shannon Graham and Dailynn Santoro led the way for the Eagles in the match. Chapman’s Audrey Hattori registered a hat trick in the team’s 11-8 win over Occidental on Wednesday. Hattori added three more scores in the team’s 5-4 loss to Redlands on Saturday. Occidental got three goals from Abigail Lavold in the loss to Chapman (11-8). Morgan Tucker put in three goals as Cal State Monterey Bay fell to #20 San Diego State 16-6 on Wednesday. A hat trick from Sami Walker was not enough to lift Redlands past Pomona-Pitzer in a 10-8 overtime loss on Wednesday. Hannah Buck was 3-for-3 for Santa Clara in the team’s 9-6 win over Cal State East Bay on Thursday. Kaitlin Rooney scored three goals in Cal State Monterey Bay’s 19-7 loss to #17 UC San Diego on Friday. Maddie Nye managed three scores for Mercyhurst in a 10-9 overtime loss to McKendree on Saturday. Mackenzie Ryburn put in three goals as the Lakers topped Monmouth 13-3 on Sunday. 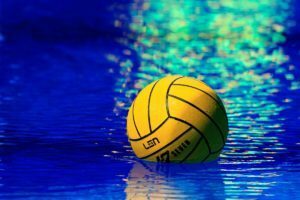 Claremont-Mudd-Scripps used three goal efforts by Kaitlyn Eng and Amelia Ayala amongst nine goal scorers in a 17-6 win over Cal Tech on Saturday. Brittany Percin put in three goals for Cal Tech in the loss to CMS on Saturday. 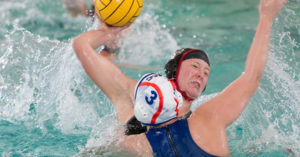 Fresno Pacific got three goals each from Savannah Mangrum and Emma McBride, but fell to Sonoma State 14-13 on Saturday. Player of the Week: Ally Furano, Bucknell – Scored 11 goals and tallied six assists as the Bison topped Brown (8-4), #14 Harvard (9-7) and George Washington (11-7); turned in four goals, two assists and two steals vs. Brown; added four scores, an assist and a steal in the upset win over Harvard; finished the weekend with three goals, three assists and a drawn ejection vs. GW. Rookie of the Week: Juliette Belanger, George Washington – Put in seven goals in losses to #14 Harvard (10-7) and #23 Bucknell (11-7); scored three times vs. the Crimson; went 4-for-6 to go with a steal and an ejection drawn vs. the Bison. Player of the Week: Margherita Garibbo, Salem – Helped the Tigers to a 4-0 weekend at the McKendree Invite with 19 goals and four assists; put in five goals and added three assists in a win over Monmouth (18-10); added a season-high seven scores in a win over McKendree (14-9); notched five scores in a 10-8 overtime win vs. Mercyhurst.